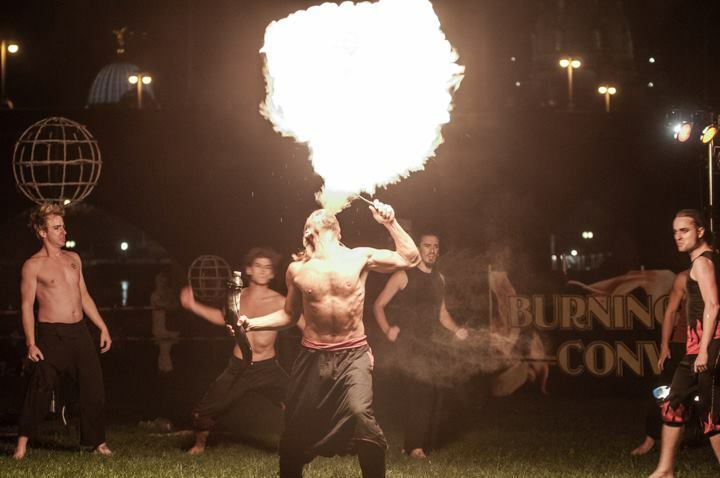 Since 2007 annually in September, the world’s best fire artists are invited to the city of Dresden for the Burning Bizarre Convention. 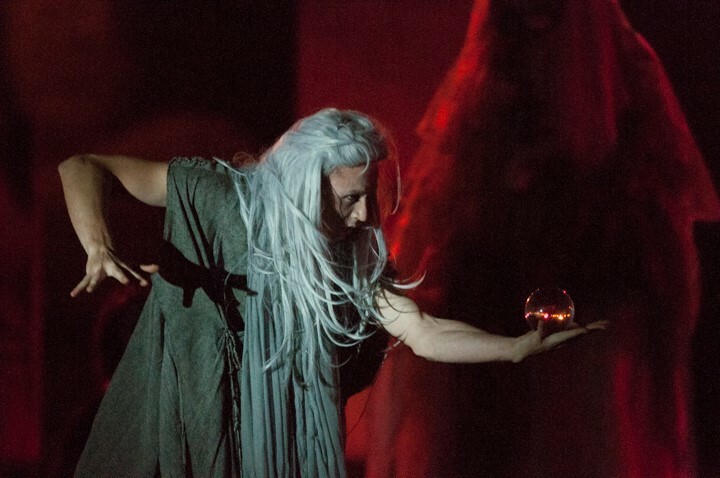 For three days the artists train together, experimenting with materials and developing their techniques in workshops. 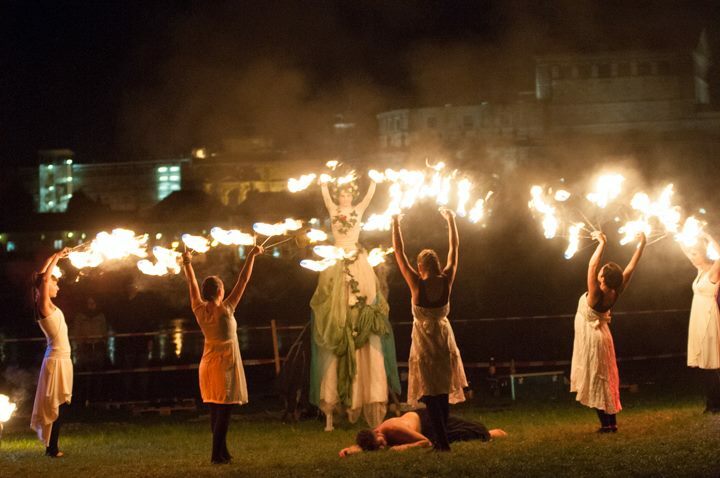 On open stages at various locations new show elements of jugglery and fire dance get tried out. 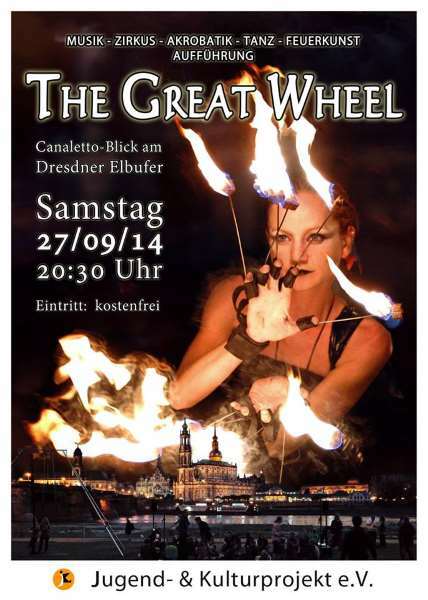 The highlight of the Burning Bizarre Convention is the live-show in the centre of Dresden at the view of Canaletto near the Augustus-Brücke. 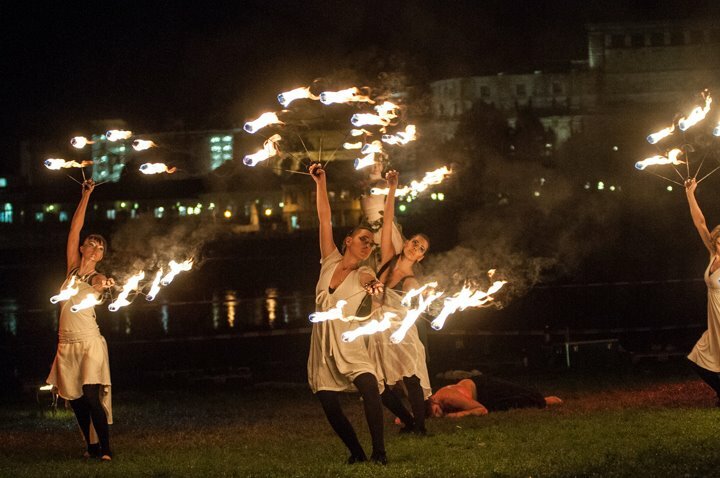 In this breath-taking show the artists present a spectacular fire performance where they merge their best tricks in a great choreography; more than 1000 people join this event. Jugend- & Kulturprojekt e.V. contributes to the cultural life of the city in a special way. 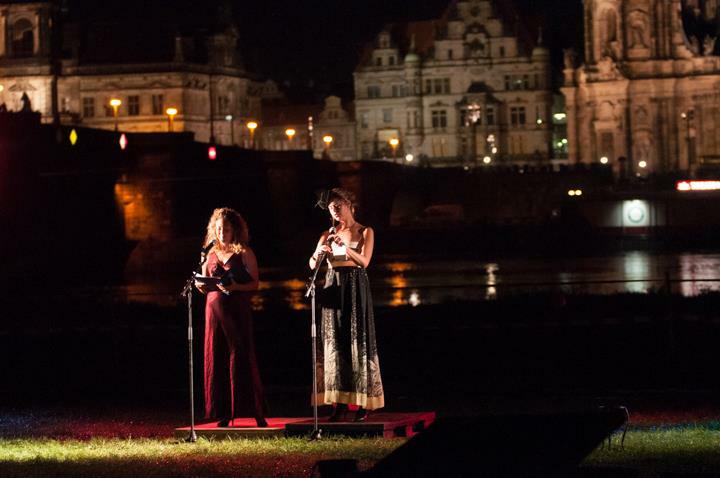 Access to a form of art is facilitated and the public of Dresden gets to experience something with which they only rarely get in touch. Entrance to the live-show is free. Accessible for everybody. This project was funded by Wir für Sachsen.